Antibiotic (antimicrobial) resistance poses a major threat to everyday life and modern day medicine where lives could be lost as a result of antibiotics not working as they should. All health and social care staff, as well as the public, have a very important role in preserving the power of antibiotics and in controlling and preventing the spread of infections. Amongst the approaches to reduce this threat includes adequate infection prevention and control practices, good antimicrobial stewardship and the use of diagnostics. This programme consists of an e-learning session, entitled ‘Reducing Antimicrobial Resistance: An Introduction’ aimed at all health and social care staff, and a myriad of resources to support awareness and education of clinical staff on antimicrobial resistance in different care settings. Signposting educational materials available to health and care staff and students. Providing a centralised resource portal to educators on supporting learners. Supporting commissioning, regulatory and quality improvement teams (including infection prevention and control and antimicrobial management teams) by highlighting available educational resources to improve practice. Encouraging learners to access available learning sessions to support their learning needs. Highlighting learning sessions that can be embedded within clinical training pathways. For more information on HEE’s work on AMR please visit our website. 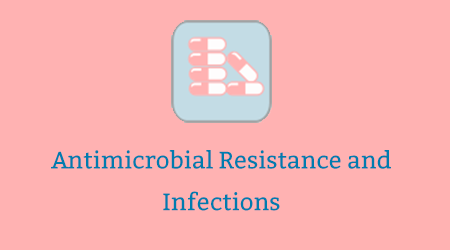 The free e-learning session, ‘Reducing Antimicrobial Resistance: An Introduction’, supports health and social care staff to understand the threats posed by antimicrobial resistance and the ways they can help to tackle it. Discuss why there is such a concern about misuse of antibiotics and antimicrobial resistance. List the key risks for development of antimicrobial resistance. Identify their role in tackling antimicrobial resistance. It provides an overview for clinical and non-clinical staff. It will also be of benefit to all health and social care staff, including those non-clinical staff working for independent contractors within the NHS, as well as volunteers across health and social care settings and service provision. This short animation is aimed at the public and has been produced in partnership with PHE, intended to be used by health and social care staff in a variety of settings with the aim of helping prescribers respond appropriately to patients requesting antibiotics without medical need. The creation of the animation was influenced by the work of the Wellcome Trust in understanding how the public responds to information about antimicrobial resistance. Also developed is an introductory film entitled a guide for GPs on antimicrobial resistance aimed at GPs and primary care staff to provide an introduction into the risks associated with the over-use of antibiotics, and to encourage appropriate dispersion of the animation above. It supports a range of educational materials for GPs and other primary care prescribers called the TARGET toolkit. Surveillance shows that previous urinary tract (bladder) infections, urinary catheterisation, hospitalisation, being prescribed antibiotics in the previous month and old age are key risk factors for these infections in the out of hospital setting. This short film aims to support health and care workers looking after older adults with suspected urinary tract infections (UTIs) and introduces resources that can be used to diagnose, manage and prevent UTIs in the out of hospital setting. In particular Public Health England’s (PHE) diagnostic flowchart and a patient leaflet to facilitate the management of suspected UTIs in the older frail population. TARGET leaflet ‘Treating your infection – URINARY TRACT INFECTION’ for those under 65 years [Word; PDF and Fully Referenced]. Urinary tract infections (UTIs)’ A leaflet for older adults and carers [Word; PDF and User Guide] and leaflet for those under 65 years ‘Treating your infection – URINARY TRACT INFECTION’ [Word; PDF and Fully Referenced]. To Dip or Not to Dip? Training handbook; e-learning; animation; poster and leaflet. Oxford AHSN: Good hydration and urine infections (Part 1, 2, 3, 4, 5 & 6). Infection Control In Care Homes films. e-Learning for Healthcare (eLfH) Continence and Catheter Care; Promoting Best Practice in Catheter Care and Management of Incontinence and Urinary Catheters. 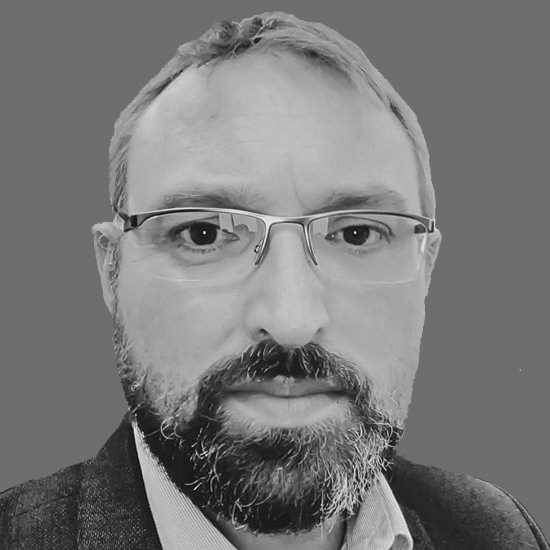 Webinar on UTIs highlights simple key actions to help improve your antibiotic prescribing whilst improving the patient experience and their self-care, therefore freeing up your time. Antibiotic presentation core slides lasts 60 minutes and includes a clinical scenario on UTIs, slide notes and references. PHE quick reference tools for diagnosis of UTIs including knowing when to use the microbiology laboratory and how to understand results. To Dip or Not to Dip? Presentation for GPs. Antibiotic Guardian, a campaign led by PHE, urges members of the public and healthcare professionals to take action in helping to slow antibiotic resistance and ensure our antibiotics work now and in the future. To become an Antibiotic Guardian, people choose one pledge about how they can personally prevent infections and make better use of antibiotics and help protect these vital medicines. A free health education resource, e-Bug, is also available for health and social care staff to reduce antibiotic resistance by helping children and young people understand infections and antibiotic use. It’s a valuable resource not only because it’s free to access, but it’s also available in 22 languages, being used in 26 countries worldwide. Clinical staff who have an active interest and prior experience in the prevention, diagnosis and management of infectious disease should consider taking the free interactive six-week online course on Antimicrobial Stewardship by the British Society for Antimicrobial Chemotherapy, University of Dundee and Future Learn. For more information, please visit Future Learn. For more information on HEE’s work on antimicrobial resistance, please visit our website. If you already have an account with e-LfH, then you can enrol on to the Antimicrobial Resistance and Infections programme by logging in to the e-LfH Hub, selecting My Account > Enrolment and selecting the programme. You can then access the programme immediately in the My e-Learning section. To register for the Antimicrobial Resistance and Infections programme, select the ‘Register’ button above. Select the option ‘I am a care home or hospice worker’ then enter your care home / hospice name or postcode and select it from the options available in the drop down list. Finally enter your care home / hospice registration code and select ‘Register’. You may need to see your employer to get this code. Access to e-LfH content is available to all social care professionals in England whose employers are registered with the Skills for Care National Minimum Data Set for Social Care (NMDS-SC). Every employer providing NMDS-SC workforce information to Skills for Care has been given a user registration code for their staff. This code enables you to self-register for access to the Antimicrobial Resistance and Infections programme. Please contact your employer for more details about the registration code. For information about registering your organisation with the NMDS-SC your employer should access www.nmds-sc-online.org.uk or contact the Skills for Care Support Service on 0845 8730129. The Antimicrobial Resistance and Infections programme is also available to NHS healthcare staff via the Electronic Staff Record (ESR). Accessing this e-Learning via ESR means that your completions will transfer with you throughout your NHS career. The Antimicrobial Resistance and Infections e-learning programme is available to access using the Open access session. If you access the content using this link, you will not have to log in but your activity will not be tracked and you will not be able to generate a record of completion.